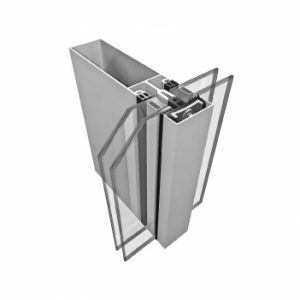 There is a wide and diverse range of aluminium curtain walling profiles that will provide structural integrity, weather performance and thermal enhancement. This method of glazing allows glass to be used in large areas creating attractive facades. With the correct glazing systems this will provide architects and designers with both thermal and solar requirements that are needed to meet the current regulations. Metal Technology’s System 17 offers the designer a wide and diverse range of profiles that will provide structural integrity, weather performance and thermal enhancement. Considered a highly cost-effective, quality engineered glazing solution, System 17 complies with current British Standards and is considered as an appropriate option for expansive high rise glazed applications. System 17 has been extended to provide the designer with a mono or dual pitch roof light system offering a complementary appearance to that of the vertical façade. All Metal Technology’s window and door systems are complementary to System 17 offering the designer complete versatility. Metal Technology’s System 17 Latitude offers the designer a wide and diverse range of profiles that will provide structural integrity, weather performance and thermal enhancement. Considered to be aesthetically pleasing, it remains a highly cost-effective glazing solution. 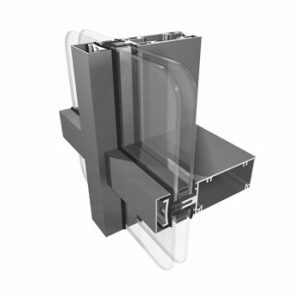 System 17 Latitude as a derivative of Metal Technology’s System 17 and SP Silicone Pointed Curtain Walling complies with the current British Standards and is considered as an appropriate option for expansive high rise glazed applications. 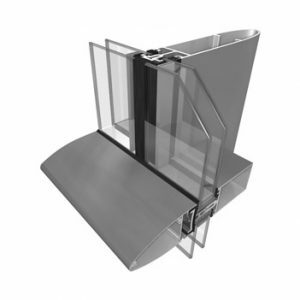 With options for gasket or silicone pointed vertical or horizontal joints between glazed panels, a series of aesthetic snap on cover caps running horizontally across the screen, and a frameless top hung casement window to complement, it can provide a striking visual impression for any designer. Metal Technology’s System 8 offers the designer a wide and diverse range of profiles that will provide structural integrity, weather performance and thermal enhancement. Considered a highly cost-effective glazing solution, System 8 is considered as an optimum solution for expansive low rise glazed applications. All Metal Technology’s window and door systems are complementary to System 8 offering the designer complete versatility.